Gympie State High School, located 160 kilometres north of Brisbane, is one of the oldest schools in Queensland, having celebrated its centenary in 2012. Our school has a population of approximately 1200 students. Many of our students are from third or fourth generation families who have previously attended the school and recognise the high value we place on academic achievement. 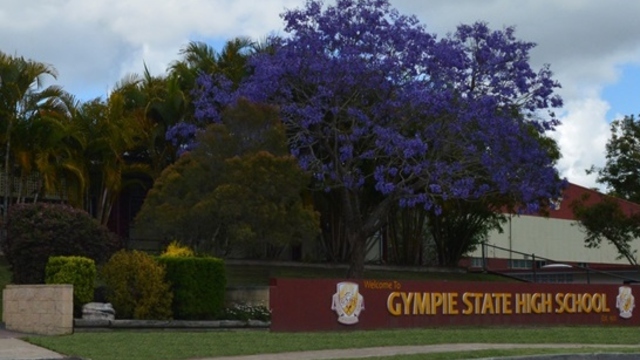 Gympie High not only serves the city of Gympie but also communities such as Amamoor, Dagun, Imbil, Kandanga, Rainbow Beach, Tin Can Bay, Glastonbury and Widgee. Our diverse demographic comprises a large agricultural community, which is reflected in the school’s provision of Agriculture subjects including Senior Certificate courses. Gympie is also home to the annual Gympie Music Muster. The school reflects this community interest through its recognition as a Music School of Excellence (GMSOE) and as such, offers a comprehensive range of Music subjects for all students. We have leaped into the future, with the implementation, inclusion and continued value of our STEM and ICT & Media programs. Gympie High also caters for an increasing number of Indigenous students, with links to programs such as the Australian Indigenous Mentoring Experience (AIME). Gympie also comprises a significant number of students who are exposed to extreme economic and social disadvantage. Our school works hard to provide an inclusive atmosphere with a sense of belonging for all members of our school community.